Impressive new construction completed in 60 days or less in beautiful tree-lined Selwyn Park, 3 bed 2.5 bath real townhome (you own land) plus unfinished basement (option to finish). Beautiful creek & wooded views from the 3 covered patios/decks. Customize the huge kitchen w/island with your choice of granite, backsplash, cabinetry color, hardwoods, lighting, and dozens more options, all included! 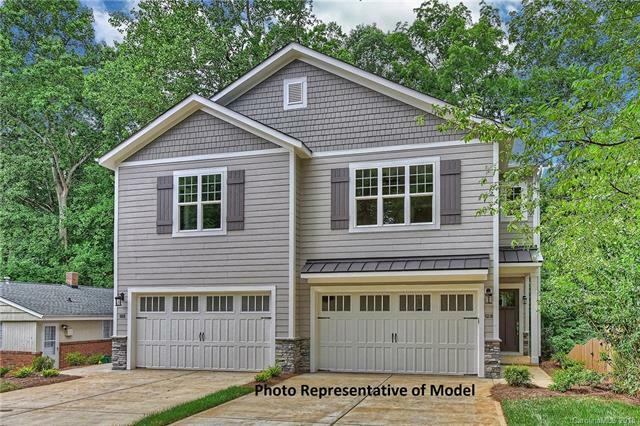 Open floorplan, large bedrooms, spacious back yard & upgrades galore: 10 ft ceilings main, 9 up, 8 ft craftsman doors, site finished hardwoods, granite counters-kitchen & baths, all wood cabinetry, upgraded lighting, and lots more. All within walking distance to the best bars/rests and mins from Southpark, Uptown, I-77 & greenway access!